Are you looking for your guide for climbing and exploring the Ecuadorian and the rest of the South American Andes? Congratulations, you have been successful!!! We at andean summit adventure are your reliable and specialized tour operator and international travel agency for hiking, trekking, trail running, mountaineering, expeditions, climbing and other activities in Ecuador and South America, with Austrian-Ecuadorian management. 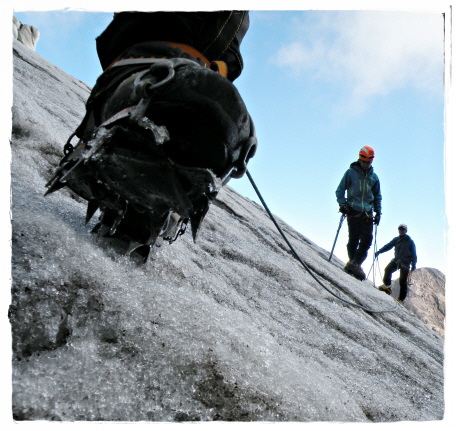 We are and work with highly qualified and certified guides from national and international associations (ASEGUIM Ecuador and IVBV - IFMGA - UIAGM). We cover the needs of individual travellers as well as of groups all over Ecuador and you will notice soon: ALL YOU NEED IS ECUADOR. Please take a look at our offers and feel free to contact us for individual arrangements or with any question you may have. We look forward to hearing from you!!! We speak English, Spanish, German, French & Italian. Ecuador is the perfect destination for getting started with high-altitude mountaineering and the best about it is, that the world's highest mountain - measured out from the center of the earth - is in Ecuador, our famous Chimborazo (6.263 m / 20,549 ft - as of last measurements in 2016). Quito is one of the highest capital cities in the world with an average altitude of approx. 2.800 m (9,200 ft). When getting here you might experience some symptoms of altitude sickness like headache, tiredness and others but at the same time it's already a perfect spot for starting your acclimatization process while discovering Quito's historic center, which has been awarded UNESCO world heritage, or other sites in and around this awesome city. Furthermore Quito is a very convenient starting point for several acclimatization tour like: Rucu Pichincha, Pasochoa, Corazon, Rumiñahui and Iliniza Norte amongst others. 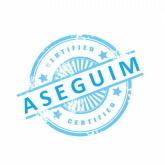 Ecuador's mountain guide association ASEGUIM has been accepted as member of the international IFMGA, what assures you of highest standards of quality regarding your mountain guide's education. Ecuador counts with a good number of internationally certified and experienced IFMGA mountain guides as well as highly skilled and motivated ASEGUIM mountain guides. In Ecuador you can climb a number of peaks with over 5.000 m (16,000 ft) height - like Cotopaxi, Cayambe, Antisana, Iliniza Norte and Iliniza Sur just to name the most important ones, as well one summit with an altitude of more than 6.000 m (20,000 ft) being Chimborazo. The huge majority of the climbs can be arranged as 2-day-tours and most of them do not challenge you technically - it's all about acclimatization and endurance during the climb in order to reach the top. Still not convinced that Ecuador is a great destination for your next holiday? Okay so let's talk about other reasons to visit this great country: Within a relatively small area you have jungle, mountains and the coast. You can enjoy wildlife at Galapagos Islands or in the Amazonian Region. After your climbs it's a great option to relax some days at one of Ecuador's marvellous beaches or in one of the hot springs. And last but not least there are plenty of cultural treasures which are waiting to be discovered by you. Need more inspiration? Enjoy this video and you will be sure that "All you need is Ecuador". We are more than happy to assist you with your Ecuador-Travel-Plans! Looking forward to hearing from you soon. Your andean summit adventure team.